This item will be created for you after purchase. Order now for delivery on Tuesday, May 7. 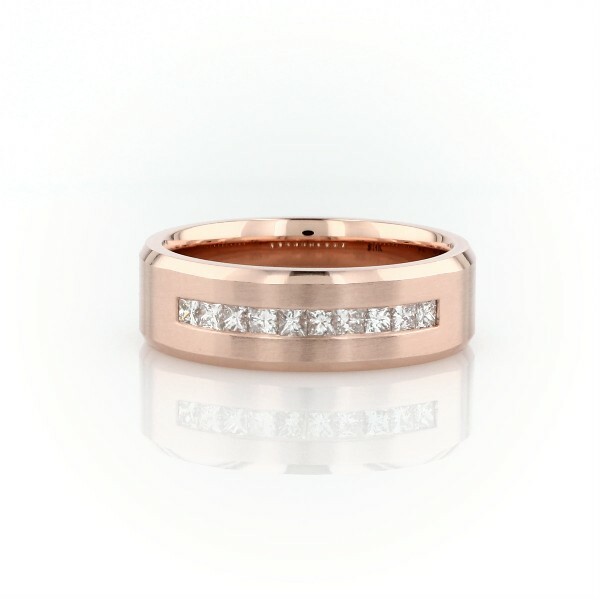 Keep your style sharp with this rich 14k rose gold wedding ring. A channel of princess-cut diamonds shines brilliantly between beveled edges, while rounded inner edges make this style comfortable for everyday wear.